The first step for creating in app purchases is setting them up on the app stores. 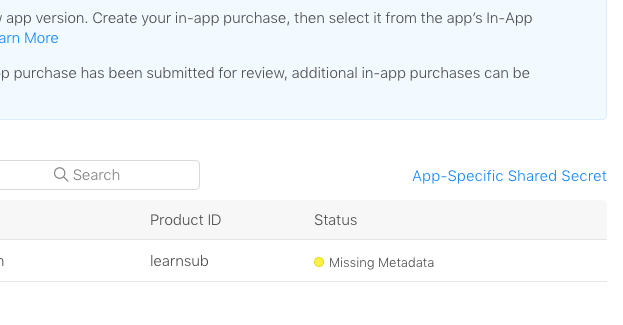 Please make sure to review the other steps including adding the purchase form to your app, and testing in app purchases. 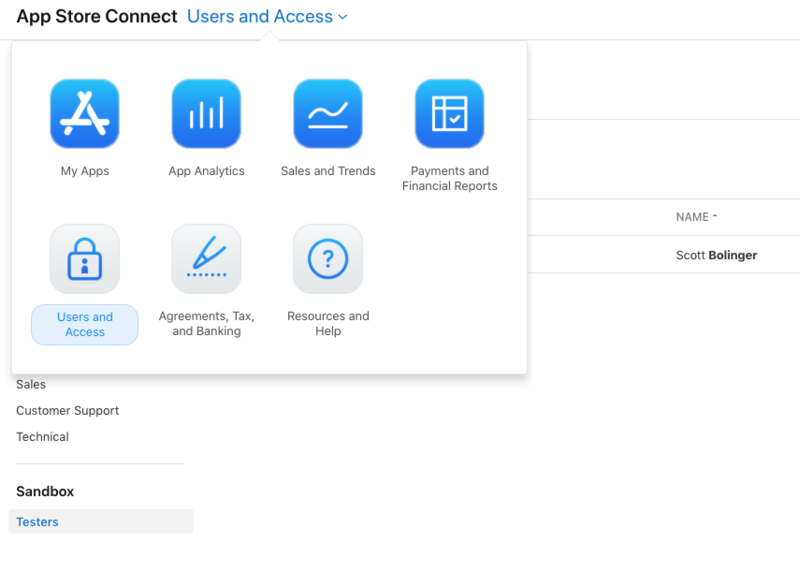 First, you must have an app ID setup with in app purchases enabled in your Apple developer account. If In-App Purchase is not enabled, click "Edit" and enable it, then save. Once you have your basic listing saved, click "Features" => In App Purchases. Click the plus sign to add a new purchase. If you are not able to add an in app purchase, you have not done the steps above correctly. Click the plus sign and choose the type of purchase. 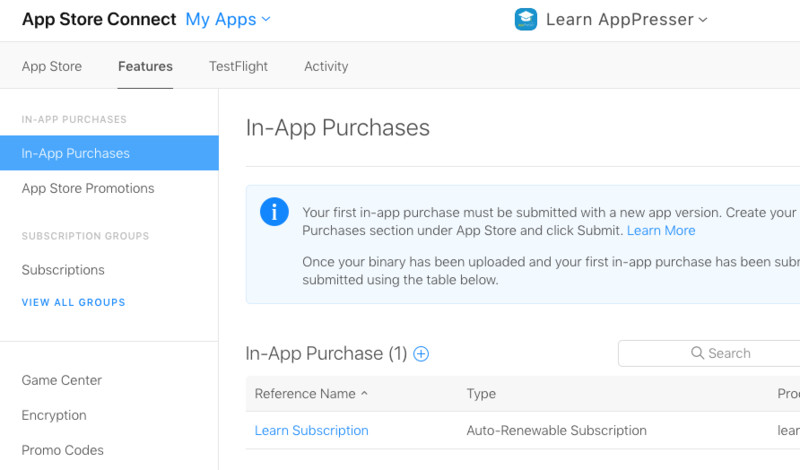 AppPresser supports non-consumable one time purchases, and auto-renewing subscriptions. At this time we only support one price level for subscriptions. Create the in app purchase. Use a simple product ID like "membersubscription", and fill out the rest of the details. Copy/paste your product ID somewhere, you will need it later. Make sure to add at least one localization. In the review notes, you will need to tell the reviewer how to test this purchase, and what it is supposed to do. You can come back and edit any of this information later. Mark the purchase as ready for sale. Next click "In-App Purchases" in the left hand menu to go back to the main screen. Click "App specific shared secret," and generate a new secret. Copy/paste your secret somewhere, you will need it later. If you'd like to test this purchase, you need to create a Sandbox Tester. Go to the top main menu and select Users and Access. Click Sandbox Testers, and add a new one. Keep track of your email and password, you will need this to test your in app purchase. When you are testing in app purchases, you do not need to use the release version of your app. You can go to PhoneGap Build and change the signing key back to your developer cert and then download it using the QR code like normal.